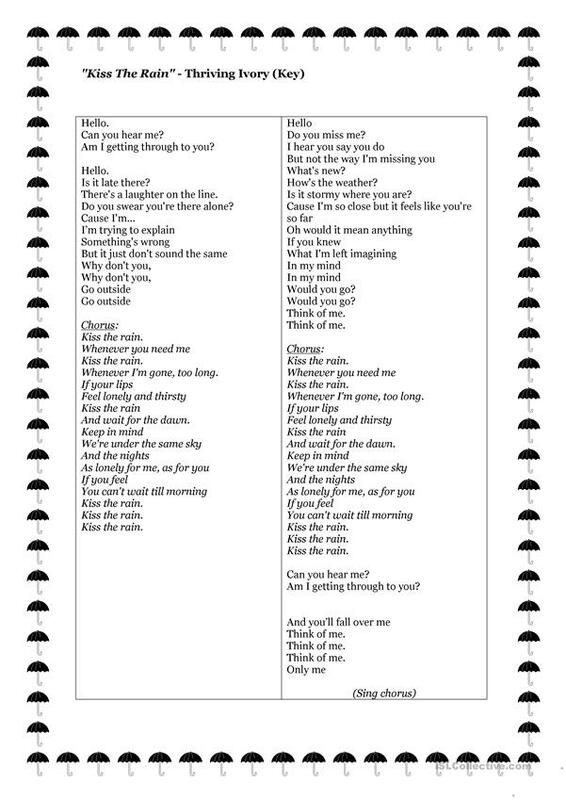 - Listen to the song ´Kiss The Rain´ by Thriving Ivory, twice. - Fill in the gaps. - Talk about the song. Check the students understand its meaning. This downloadable worksheet is recommended for high school students and adults at Pre-intermediate (A2), Intermediate (B1), Upper-intermediate (B2) and Advanced (C1) level. 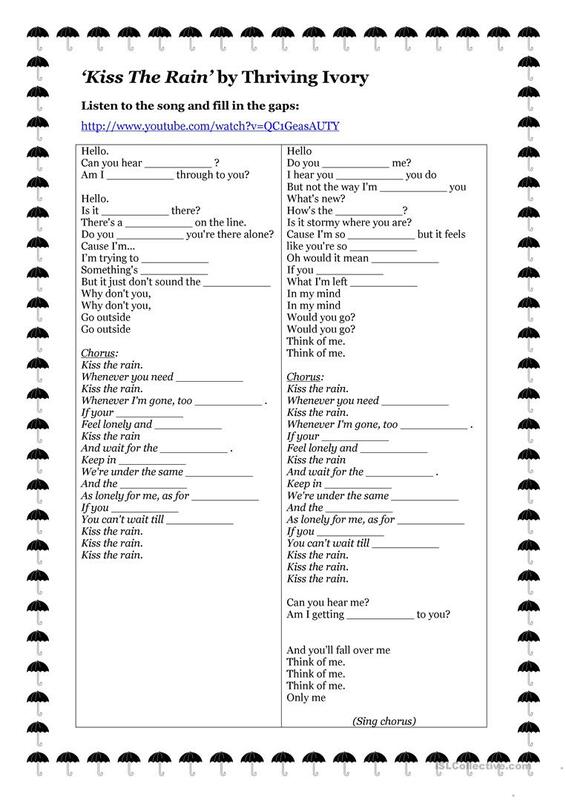 It is a useful material for revising Adjectives to describe feelings / mood / tone in English, and was designed for enhancing your class' Listening and Speaking skills. It is focused on the topic and words of Weather. It includes the answer key, too. I ❤ English & Tech. I teach English in Spain.